Education WordPress theme is a Multi-purpose Modern clean Creative WordPress Landing Page theme suitable for education school college institute, university, online learning and training gallery portfolio showcase photography corporate business construction. Teaching and Training WP theme is a clean & modern Education WordPress landing page Theme. It’s suitable for any university, workshop, college, school, kindergarten, course hub, training center or any kind of educational institution. 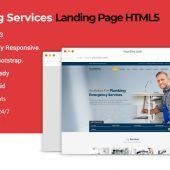 This theme includes awesome homepage with different courses page layout, which are easy to edit and customize to fit your business needs. Also Education WP theme is a perfect solution for your educational webpages. 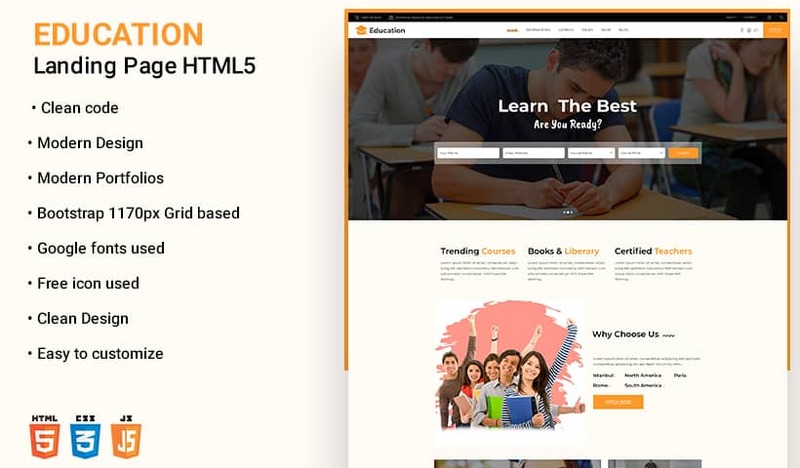 This education theme includes drag-drop page builder Visual Composer premium plugin, revolution slider, for Education Course Learning System, Contact Form. This theme also includes with Bootstrap 4. It’s 100% responsive that’s why it will work nicely on all smart devices like smart phones, tablet, PCs and desktops. Education WordPress Theme also well documented and clean coded that’s why anyone can install and customize it easily. Based on our vast experience of wordpress landing pages building this Education theme is the next generation and one of the best education WordPress themes around, containing all the strength of eLearning WP but with a better design. This WordPress educational theme has been developed based on the best plugin on the official WordPress Plugins directory.